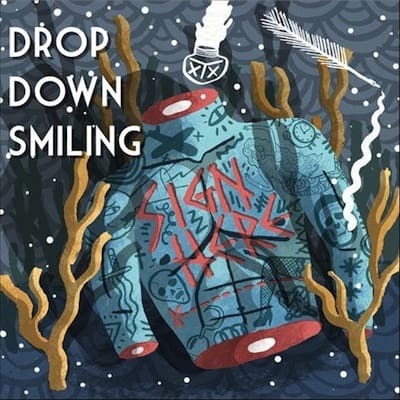 Melodically encapsulating their way to the masses is a talent ridden rock jaunt the world needs, and their name is Drop Down Smiling, a band with a first aid kit full of vibes. Their EP ‘Sign Here’ holds four tasty morsels of what we hope is an example of the many songs in that style that we can expect in the future – and the range is wide! ‘Put On A Show’ is a melancholic, energetic orchestration of melody, with verses complimented by gentle high pitched twanging of guitar strings and choruses that bring out the lightly distorted indulgence of power chords. It could be the distinctive sound of Chris West’s vocals or possibly the light fuzz of electronics in the background acting as the black outline of the painting, bringing out the striking colours, but it sounds different to any contemporary rock band out there, much to the band’s delight, this writer is sure! ‘Down From Your Skies’ begins differently, with a deceptive electric opening that baffles, before opening into the equally as catchy and sing-along-able vibe. The bass lines are very impressive here, it never stops for a breath! Towards the middle it really starts to work together with the guitar, and it couldn’t be more powerful. After the first two energetic tracks it’s a welcome change when ‘Time Slows Down’, an appropriately slower song takes the stage. Now the range is stretching far off into the sunset. Acoustics, more prominent electronic sounds, and lyrically, much deeper concepts. There’s also some fantastic leads during the choruses, and even a short but sweet clean solo at the end. The final track, ‘Why Should We Change’, retains the slow pace of its predecessor, and yet is full of energy. What’s particularly impressive is its compactness. The changes in sound and vibe are constant and surprising. Unlike many artistic alchemists who mix electronica with raw instruments, this band keeps it real. Keeps the rock the front-seat driver, and the electronics a subtle addition. They’re simple but effective, complex when they need to be, and that unclassifiable albeit familiar sound will make them agreeable with the masses and take them far indeed! 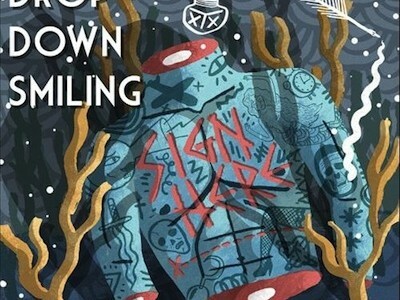 There are great things ahead for Drop Down Smiling, and if this EP is anything like what to expect in the future, we’ll be waiting with bated breath.